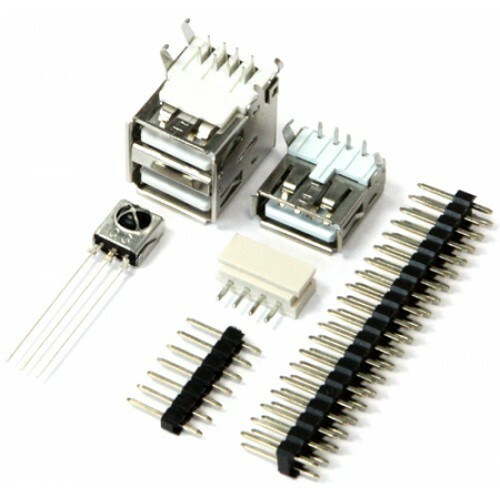 This is a perfect connector pack for various DIY projects with the ODROID-C0. You need a soldering skill to use this pack. Most of connectors are identical to the ODROID-C1+. There are two different USB host connectors in this package. If you want to make a lower profile board, use a single layer connector. If you want to make a full connectivity, use a dual layer connector.